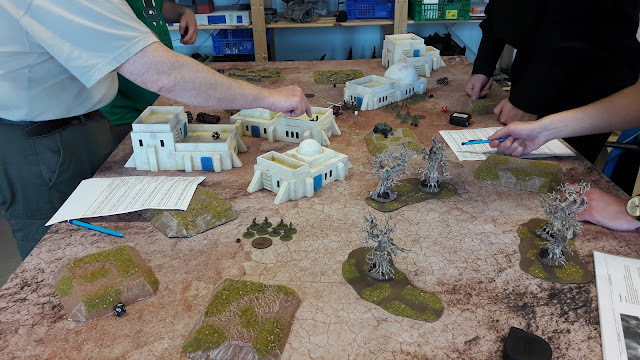 On the 1st of October we had a participation game day for PMC 2640 at our local gaming club, GoB during one of its gaming weekends! The participation game, "Invasion of Ariadne II"! We pitted green against red side in the Invasion scenario using the models frequently seen on this blog. The game saw some interest and a few participants expressed interest in taking up the game! The game ended with a successful green invasion! Lots of arms, none wearing a watch!